On March 1, 2010, the SEC Staff again updated the Regulation S-K Compliance & Disclosure Interpretations (C&DIs). The most significant new C&DI that was added was Question 119.24, which addresses the proxy reporting for equity incentive plan awards that have multi-year performance periods, and where the Compensation Committee retains the right to exercise negative discretion in accordance with Internal Revenue Code Section 162(m) to reduce the amount of the award ultimately earned. In particular, this C&DI addresses such awards when the accounting rules (FASB ASC Topic 718 to be precise) indicate that the grant date won’t occur until the end of the performance period after the Committee has made its determination with respect to the awards earned, i.e., after the exercise of its negative discretion. The rules on that are a bit technical, but suffice it to say, it can happen. In such a case, an employee could start providing service counted towards the earn before then (and most likely would do so). The date at which the employee starts providing such service is called the “service inception date” under the accounting rules. For purposes of the proxy disclosure of such an award, the SEC staff indicated that a company would include the award for the year in which the service inception date occurs. The grant date fair value would be included in the Summary Compensation Table and Grants of Plan-Based Awards Table based on the the probable outcome of the performance conditions as of the service inception date. This amount also would be used in determining whether an executive officer is a named executive officer for the year in which the service inception date occurs. Question: In 2010, a company grants an executive officer an equity incentive plan award with a three-year performance period that begins in 2010. 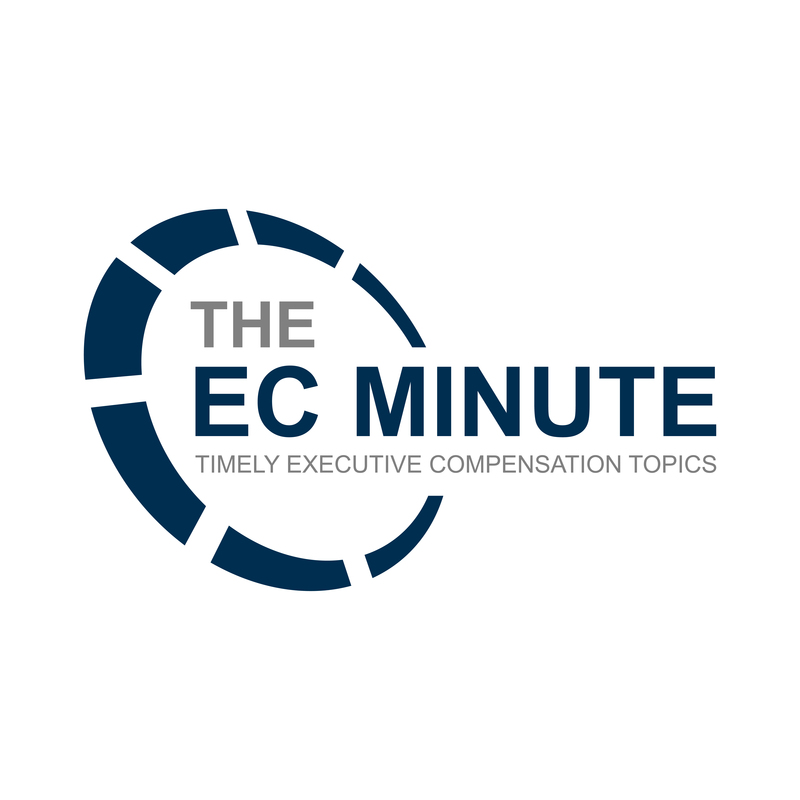 The equity incentive plan allows the compensation committee to exercise its discretion to reduce the amount earned pursuant to the award, consistent with Section 162(m) of the Internal Revenue Code. Under FASB ASC Topic 718, the fact that the compensation committee has the right to exercise “negative” discretion may cause, in certain circumstances, the grant date of the award to be deferred until the end of the three-year performance period, after the compensation committee has determined whether to exercise its negative discretion. If so, when and how should this award be reported in the Summary Compensation Table and Grants of Plan-Based Awards Table? In what year should this award be included in total compensation for purposes of determining if the executive officer is a named executive officer? Question: Instruction 3 to Item 401(a) provides that if the information called for by paragraph (a) is being presented in a proxy or information statement, no information need be given respecting any director whose term of office as a director will not continue after the meeting to which the statement relates. Is Item 401(e) disclosure required with respect to any director to whom this Instruction applies? Answer: No. Item 401(e) disclosure is not required for any director for whom the company is not required to provide Item 401(a) disclosure. Question: A registrant with a calendar fiscal year end has filed a Securities Act registration statement (or post-effective amendment) for which it seeks effectiveness after December 31, 2009 but before its 2009 Form 10-K is due. Must it include Item 402 disclosure for 2009 in the registration statement before it can be declared effective? Answer: If the registration statement is on Form S-1, then it must include Item 402 disclosure for 2009 before it can be declared effective. This is because 2009 is the last completed fiscal year. Part I, Item 11(l) of Form S-1 specifically requires Item 402 information in the registration statement, which includes Summary Compensation Table disclosure for each of the registrant’s last three completed fiscal years and other disclosures for the last completed fiscal year. General Instruction VII of Form S-1, which permits a registrant meeting certain requirements to incorporate by reference the Item 11 information, does not change this result because the registrant has not yet filed its Form 10-K for the most recently completed fiscal year. On the other hand, Form S-3’s information requirements are satisfied by incorporating by reference filed and subsequently filed Exchange Act documents; for example, there is no specific line item requirement in Form S-3 for Item 402 information. Accordingly, a non-automatic shelf registration statement on Form S-3 can be declared effective before the Form 10-K is due. Securities Act Forms C&DI 123.01 addresses the situation in which a company requests effectiveness for a non-automatic shelf registration statement on Form S-3 during the period between the filing of the Form 10-K and the definitive proxy statement. Question: In April 2010, a company grants an equity award to an executive officer, and the terms of the award do not provide for acceleration of vesting if the executive officer leaves the company. The grant date fair value of the award is $1,000. In November 2010, the executive officer will leave the company, and the company modifies the officer’s same equity award to provide for acceleration of vesting upon departure. The fair value of the modified award, computed under FASB ASC Topic 718, is $800, reflecting a decline in the company’s stock price. What dollar amount is included in 2010 total compensation for purposes of identifying 2010 named executive officers and reported in the executive officer’s 2010 stock column with respect to this award if he will be a named executive officer? 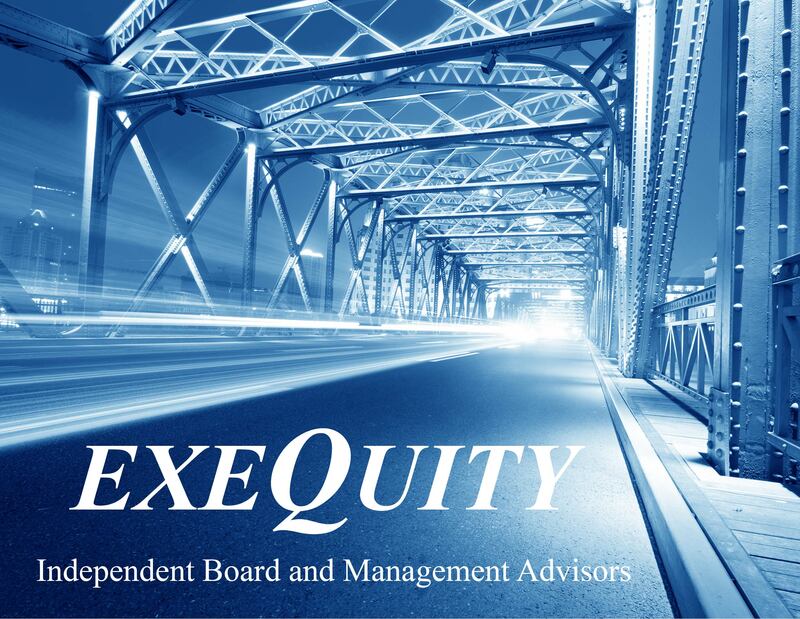 How would the company report the equity award if the award modification and executive’s departure occur in 2011? Answer: Consistent with Instruction 2 to Item 402(c)(2)(v) and (vi), the incremental fair value of the modified award, computed as of the modification date in accordance with FASB ASC Topic 718, as well as the grant date fair value of the original award must be reported in the 2010 stock column. Applying the guidance in paragraph 55-116 of FASB ASC Section 718-20-55, incremental fair value is computed as follows: the fair value of the modified award at the date of modification minus the fair value of the original award at the date of modification equals the incremental fair value of the modified award. In this fact pattern, the fair value of the original award at the date of modification is zero, because the executive officer left the company in November and the original award would not have vested. Therefore, the incremental fair value of the modified award is $800. As a result, the total amount reported is $1,800, which reflects the two compensation decisions the company made for this award in 2010. The same amount is included in 2010 total compensation for purposes of identifying the company’s 2010 named executive officers pursuant to Items 402(a)(3)(iii) and (iv). If the award modification and executive’s departure occur in 2011, the company would report $1,000 in the 2010 stock column for the grant date fair value of the original award. In the 2011 stock column, the company would report $800 for the incremental fair value of the modified award. Question: During 2010, a company grants an annual incentive plan award to a named executive officer. Because no right to stock settlement is embedded in the terms of the award, the award is not within the scope of FASB ASC Topic 718. Therefore, it is a non-equity incentive plan award as defined in Rule 402(a)(6)(iii). The named executive officer elects to receive the award in stock. Instruction 2 to Item 402(c)(2)(iii) and (iv) does not apply because the award is an incentive plan award rather than a bonus. Should the company report the award in the stock awards column (column (e)) or in the non-equity incentive plan award column (column (g)) in its 2010 Summary Compensation Table? How should the award be reported in the Grants of Plan-Based Awards Table? Answer: The company should report the award in the non-equity incentive plan award column (column (g)) of the Summary Compensation Table, reflecting the compensation the company awarded, with footnote disclosure of the stock settlement. Similarly, in the Grants of Plan-Based Awards Table, the company should report the award in the estimated future payouts under non-equity incentive plan awards columns (columns (c)-(e)). The stock received upon settlement should not also be reported in the Grants of Plan-Based Awards Table because that would double count the award. Question: During 2010, a company grants annual incentive plan awards to its named executive officers. The awards permit the named executive officers to elect payment of the award for 2010 performance in company stock rather than cash, with the election to be made during the first 90 days of 2010. Such company stock will have a grant date fair value equal to 110% of the award that would be paid in cash. One named executive officer elects stock payment, and the others do not. How is the award reported for the named executive officer who elects stock payment? How is the award reported for the named executive officers who receive cash payment? Answer: For the named executive officer who elects stock payment, the award is reported in the 2010 Summary Compensation Table and Grants of Plan-Based Awards Table as an equity incentive award. This is the case even if the amount of the award is not determined until early 2011 because all company decisions necessary to determine the value of the award are made in 2010. For the named executive officers who receive cash payment, the award is reported in the 2010 Summary Compensation Table and Grants of Plan-Based Awards Table as a non-equity incentive plan award. RiskMetrics Group (RMG) recently issued several FAQs related to the new SEC proxy disclosure rules. Previously, I blogged about the RMG FAQ regarding Compensation Risk Disclosures, and today I will address the two other FAQs, one on compensation consultant conflicts and the other on the enhanced disclosure about directors – qualifications, diversity policies, and board leadership and risk oversight of risk management. RMG was asked whether it would do with compensation consultant fee disclosures. RMG indicated that since this disclosure is new, it is waiting to gather and analyze the data after the proxy season and develop any new policies in consultation with its clients. So stay tuned, this one has the feel of the director overboarding issue and the tax gross-up issues which RMG first took some time to study and then came out with policies that directly dealt with the issues. RMG was asked what its views and the prospects for related voting recommendations were given the new director qualifications, diversity policies, and board leadership and oversight of risk management disclosures. Again RMG deferred a bit indicating that it was waiting to gather information and analyze the disclosures made this proxy season, but would not implement any policy changes as a result of these disclosures for 2010. My guess is that RMG will study the disclosures made, discuss the issues internally and with its clients and develop a set of new policies for 2011 that will seek to encourage a minimum level of disclosure on these issues and some minimum level of corporate governance as to this items. Speculation is that the SEC Staff likely will focus on this Item 402(s) disclosure as part of its review of proxies filed during the 2010 proxy season. However, it is unclear whether these comments will be primarily filed this proxy season as it is the first in which this disclosure will be in place, and will then be somewhat dropped going forward. What will RiskMetrics be looking for in the new disclosure requirement on risks raised by compensation programs? In particular, how will RMG react to non-disclosure? RMG understands that issuers typically do not like to provide negative disclosures (e.g., “we found no material adverse risks caused by compensation”) due to concerns over liability, and the SEC generally does not require them to make such statements. As a result, some companies may choose to say nothing in their proxy statement this season with regard to searches for material adverse effects from pay which conclude there are no such risks. While RMG does not have a policy regarding non-disclosure, we advise issuers to, at a minimum, talk about their process and any mitigating features (such as claw-backs or bonus banks) that they have adopted. We view this disclosure as an opportunity for communication, not simply compliance, and we expect that shareholders will be looking for a reasonably substantive discussion of the board’s process to determine whether the company’s incentive pay programs might motivate inappropriate risk-taking, and what they are doing to mitigate that. RMG’s view may spur a few companies to address the risks associated with their compensation policies and practices and any risk assessment that was conducted. However, note that this is not an RMG policy. As such, it is not required that companies follow this guidance from RMG or risk a negative vote recommendation against directors or an equity compensation plan proposal. That being said, companies may be better off coming up with a paragraph of disclosure that walks through the steps they have in place that mitigate any risks that exist, i.e. clawback provisions, stock ownership guidelines, stock retention guidelines, a particular balance of compensation, the performance goals utilized, mechanisms like bonus banks to keep a portion of previously “earned” compensation at risk, etc. Doing so would be far more instructive to shareholders about what is currently in place to help mitigate risks than any statement that says, we found no risks to exist. As such, this type of statement is likely to be well received by RMG and would not necessarily require a company to include a dreaded negative disclosure (“We determined after a careful review and assessment that Company does not have any risks from its compensation policies and practices for its employees that are reasonably likely to have a material adverse effect on the Company”). Of course, the next question is where to place this disclosure? I think most folks realize that it does not have to (and in the vast majority of cases should not) be included in the Compensation Discussion & Analysis (CD&A) section. 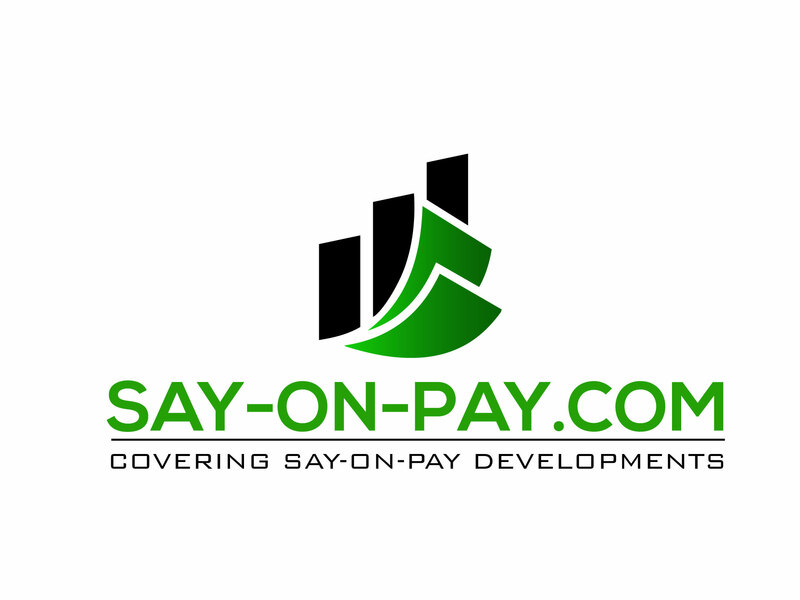 However, the SEC Staff has issued guidance (C&DIs, Regulation S-K, Q. 128A.01) to the effect that it expects the Item 402(s) disclosure to be with the other Item 402 disclosures on compensation and would not expect it to be hidden, obscured, or difficult to locate. So, perhaps this should go somewhere in the narrative section following the Summary Compensation and the Grants of Plan-Based Awards Tables.